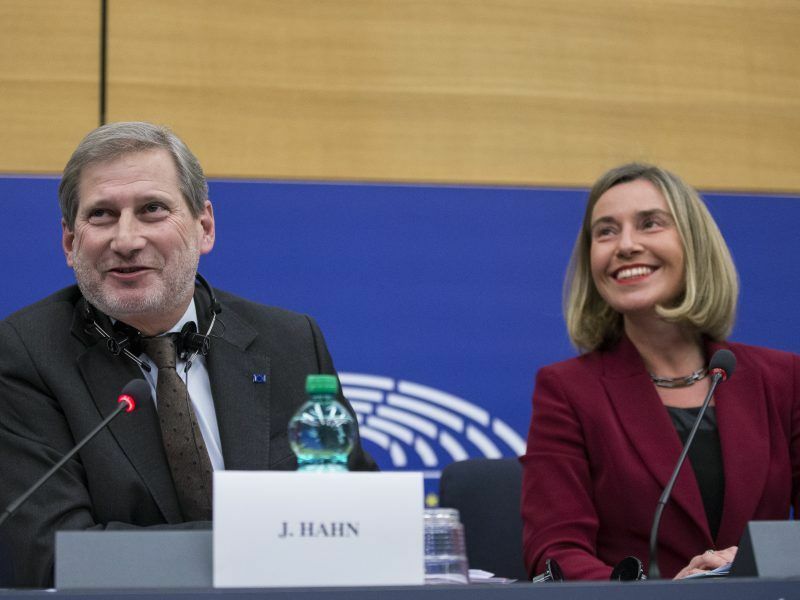 All six countries in the Western Balkans have a European perspective, and Serbia as one of the leaders in the process could help the entire region’s progress towards membership, Enlargement Commissioner Johannes Hahn said in Belgrade on Wednesday (7 February). 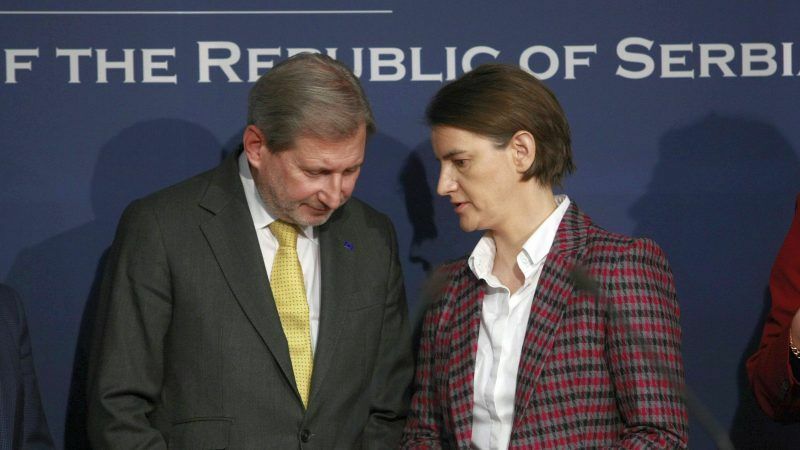 Addressing a conference on EU accession prospects, Hahn underscored that Serbia, like the other candidates, had to solve all disputes, including the normalisation of relations with Kosovo, and work hard to meet all the other criteria before joining, stating that there would be no “discount”. The Commission’s new enlargement strategy, unveiled on Tuesday (6 February), has sparked controversy in the region. It singled out Serbia and Montenegro, which could join the bloc in 2025, at the earliest, and Commission boss Jean-Claude Juncker made clear that no new members would be accepted before they resolve all bilateral issues, including borders. Overcoming a decade of enlargement fatigue, the European Commission launched its long-awaited Western Balkans strategy on Tuesday (6 February), aiming to inject new momentum into EU integration and speed up the homework the six countries need to do before joining the bloc. A commentary in Slovenian daily Večer said this effectively meant that at least three countries could be held hostage by Croatia, an EU member since 2013, which has unresolved border issues with Serbia, Montenegro and Bosnia dating back to the collapse of Yugoslavia in the 1990s. Kosovo, whose independence Serbia refuses to recognise (as well as five EU member states), also voiced discontent. President Hashim Thaçi said the document did not present “an equal accession perspective” for all the six countries, and Kosovo’s prospects remained particularly vague, with no indication of when it could even open accession talks. The document talks of Kosovo’s “opportunity for sustainable progress… once objective circumstances allow”. In Belgrade, Hahn said the EU strategy offers prospects to Kosovo and should be seen as an impetus for Europe’s youngest country to work on finding a solution that will lead to the normalisation of relations with Serbia. But he also said that the Belgrade-Priština dialogue, initiated and supervised by the EU, was difficult and that he did not wish to predict its result. During the two-day visit, Hahn met with Serbian President Aleksandar Vučić and Prime Minister Ana Brnabić, stressing once again that the EU would not import bilateral disputes, but was ready to assist in solving them. As regards Serbia, Hahn said it faced difficult reforms, especially in the rule of law, and needed to implement them and improve living conditions in the biggest of the six Western Balkan countries. The European commissioner pointed out that 2025 was an indicative date, but also an ambitious and achievable deadline for Serbia’s admission to the EU, adding that further progress hinged on the pace of progress in meeting the membership conditions. European integration was “a regatta, not a convoy,” said Hahn, meaning that the countries would join the EU according to individual merits and the reforms implemented. Western Balkan conutries will never become EU member states because citizens of EU member states will vote NO on referendums about this membership.